C-CAT catheter for distribution of anaesthetics to the surgical site postoperatively. 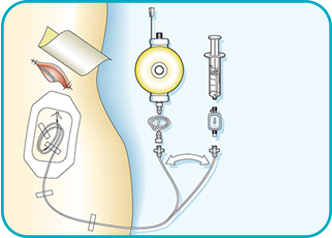 The catheter can be used with infusion pumps as well as for bolus injections. For bolus injections the C-CAT catheter offers minimal resistance due to its unique design. for improving the patient recovery process after a major surgical procedure. the surgical wound area post surgically. Offering concentrated pain relief, exactly where the pain is generated. 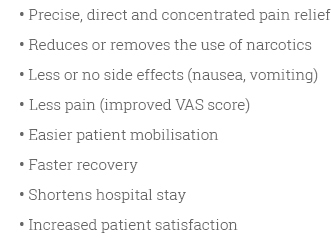 Using local anaesthetics for post surgical pain relief greatly reduces the use of narcotics. Side effect as nausea and vomiting are therefore reduced. Copyright © 2019 Cimpax. Powered by WordPress. Theme: Accelerate by -.